As the New Year begins, it’s a great time for your travel agency to overhaul your online marketing strategies to make them more relevant to today’s travelers. 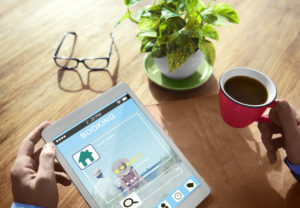 Your independent travel agency faces stiff competition as you strive for the attention of online travelers, from the large OTAs that dominate search results as well as from the mobile booking engines that many hotels, rental car companies, and airlines have incorporated in their branded apps. To ensure your travel agency’s success, you need to take steps to make your online marketing strategies as effective as possible. We’ve got a couple of travel agency marketing ideas that will help increase the wow! factor of your marketing efforts and make them more effective at attracting discerning travelers. Over the past few years, video has emerged as one of the best ways to reach travelers while they are in the planning phase. That trend is on track to continue to grow in 2016, bolstered by the widespread popularity of tablets (which are ideal for viewing videos) as well as the introduction of video streaming on social media platforms. Smartphones’ video recording function and the introduction of affordable sports video cameras like GoPro have made it so much easier to shoot attractive, riveting videos that you can easily incorporate video into your travel agency’s marketing strategies. By developing a video marketing strategy that includes a combination of long and short video formats, you can boost the appeal of your travel agency’s email newsletters, website pages, and social media posts. Shoot short video bursts that capture the essence of a destination or event in just a handful of seconds. Use one of these short videos for the background of your website for a bold iconic look that grabs the attention of visitors from the start. Sprinkle micro-videos among your Twitter and Facebook posts to entice travelers and increase click-throughs of links leading to your website or blog. Try developing longer videos that capture in-depth details to help travelers experience the full glory of an excursion or destination, then feature them on your dedicated travel channel on YouTube. You can even turn a few of your best travel blogs into videos, using a travelogue format or taking visitors with you as you recreate the experience you described in your writing. As you plan your travel agency marketing strategies, be sure to mine your marketing data for insights so you know the most effective way to direct your online marketing efforts. This step can also help you generate some new marketing ideas for your travel agency. For instance, if you know a large percentage of your customers are accessing the Internet using the latest iPhones, you can apply the latest iPhone news to make your marketing more relevant to those travelers. Late last year Apple introduced Live Photos, 3-second videos married with photos which can only be viewed on devices running on Apple’s latest operating system. Incorporating Live Photos into a targeted email marketing campaign is an excellent way to cater to this key demographic. As you crunch the data, be sure to keep your eye on the ultimate goal of your marketing strategies. Finding out which of your email newsletters enticed the most travelers to your website is important, but identifying the email newsletters that generated the most booked trips is more relevant to your travel agency’s success. Taking the time to follow the data all the way through the sales funnel will enable you to develop marketing ideas that will achieve the highest ROI for your travel agency’s online marketing spend. For more travel agency marketing ideas, you can always turn to Travel Tech Strategies. Our dedicated marketers can advise you on ways to improve your online marketing strategies while providing complete support for your travel agency’s online marketing efforts. We can provide you with a responsive travel web design, social media marketing, and more, along with travel big data mining to make your travel marketing efforts more effective than ever before. Contact Travel Tech Strategies today at 954-779-2801 for more travel agency marketing ideas along with expert travel marketing services that will help your agency succeed!